Henry is such a sweetheart. 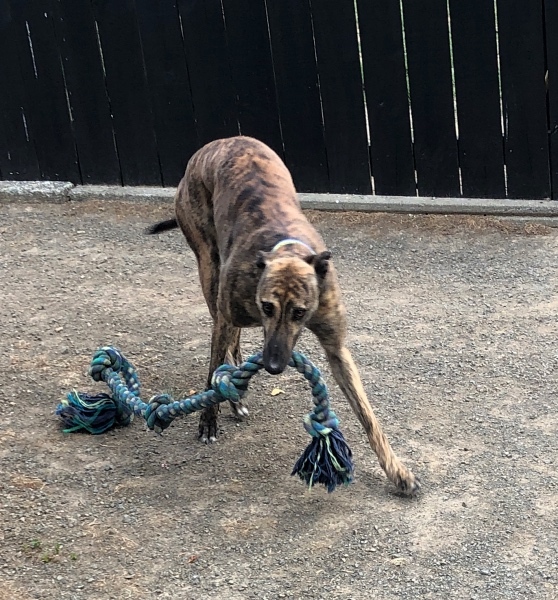 In the short time he has been with us he has changed from a shy and timid boy into a confident and playful hound who absolutely loves other dogs. All dogs, any dogs, all shapes and sizes. They are all his friends. Henry adores toys, particularly balls. He has even ventured into the paddling pool on hot days but not quite brave enough to any more than jump about a bit. Who knows what he would be like at the beach?! 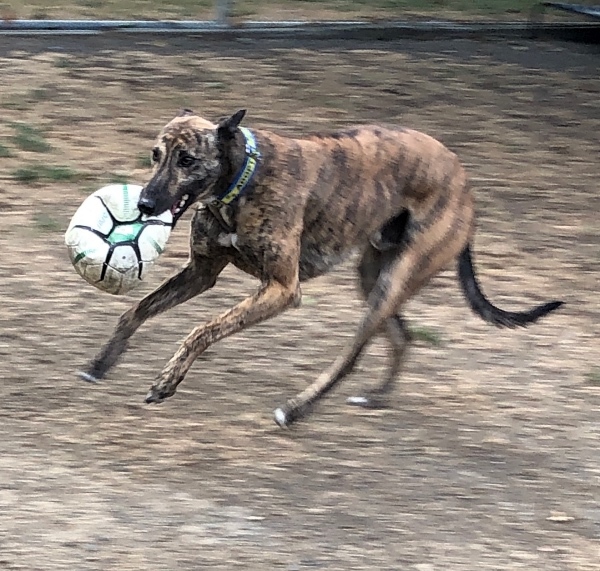 Henry is extremely responsive to voice command as long as you are kind and gentle and have earned his trust.l He is a sensitive boy who responds well to love and a kind approach. We would love to see Henry find a home to share with a canine friend, or maybe two. Henry has met children here at the kennels and has been very happy and friendly. He is such a gentleman it won't take him long to find his way into your heart and your home. 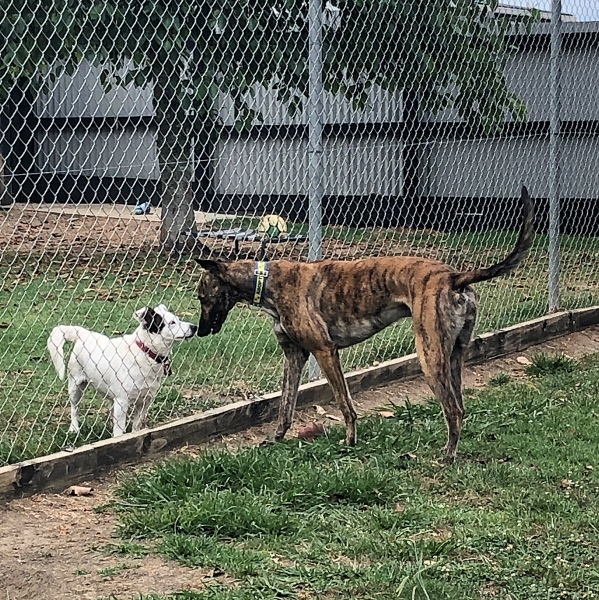 he is ready and waiting to meet you here at the Hampton Downs kennel base.